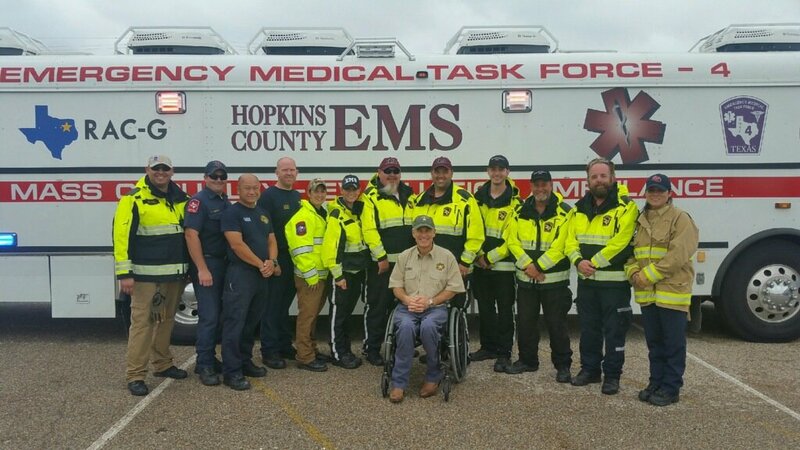 EMS agencies from across the state have been on the ground to help with the Hurricane Harvey efforts. 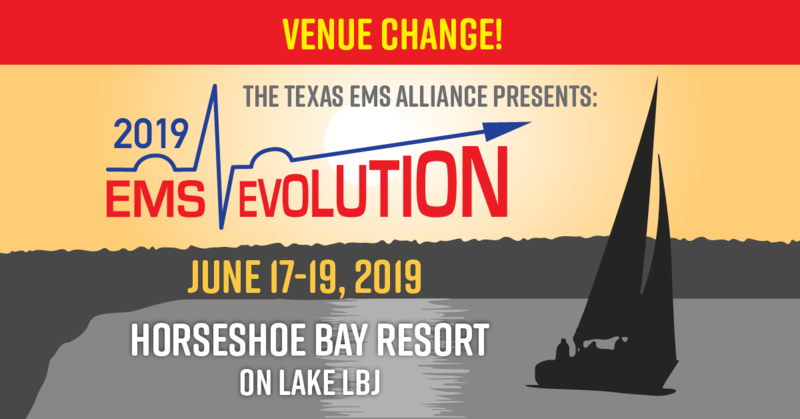 Turn to TEMSA’s Facebook and Twitter pages for the latest updates from EMS agencies that are on the ground. 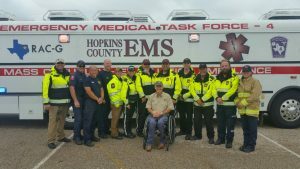 The Texas Department of State Health Services (DSHS) has asked EMS agencies to fill out a quick survey regarding hurricane damage. Click here to access it. State and federal regulatory bodies have relaxed some rules to help health care providers respond to patients during Hurricane Harvey relief efforts. The following is an overview of some of the measures. This is provided for informational purposes only and does not serve as legal advice. Keep in mind that DSHS has extraordinary emergency funds for situations like this. This can be utilized for large items or infrastructure, such as ambulances. In addition, if you are in an area affected by flooding, you can contact your local emergency management coordinator. HHSC released an FAQ document on August 31, 2017 that provides helpful information to health care providers. HHSC FAQ Hurricane Response to view it. Because of the potential storm damage to local, regional, and state-wide utilities and infrastructure, many insureds, enrollees, or certificate holders could be forced to evacuate their residence locations and health care service areas. Restrictions on insureds, enrollees, or certificate holders will result in many storm victims being without necessary health care or dental services. Insureds, enrollees, or certificate holders should not be left without their necessary health care or dental services during a disaster or threat of imminent disaster. Under these circumstances, it is the opinion of the Texas Department of Insurance that all health insurance companies and health maintenance organizations should waive penalties and restrictions on insureds, certificate holders, or enrollees when these insureds, enrollees, or certificate holders obtain necessary emergency and nonemergency health and dental services out-of-network as a result of the disaster through the duration of the governor’s proclamations. Additionally, health insurance companies and health maintenance organizations should not deny payment for necessary emergency and nonemergency health and dental services that are obtained out-of-network as a result of the threat of imminent disaster through the duration of the governor’s proclamations. Click here to view TDI’s full statement. The Texas Medical Board (TMB) has issued guidance related to expedited approval of physicians and other types of providers from other states to help with Hurricane Harvey relief efforts in Texas. Click here to view the TMB instructions. In accordance with Section 418.016 of the Texas Government Code, Governor Greg Abbott has temporarily suspended all necessary statutes and rules to allow licensed health care providers employed by a hospital and who are in good standing in another state to practice in Texas to assist with disaster response operations. In accordance with section 418.016 of the Texas Government Code, the Office of the Governor temporarily suspends all necessary statutes and rules to allow health care providers employed by a hospital and licensed and in good standing in another state to practice in Texas in order assist with the Tropical Depression Harvey disaster response operations. Hospitals must submit to the applicable licensing entity each out-of-state provider’s name, provider type, state of license, and license identification number. Licensed health care professionals should contact their Texas licensing boards for more information on the approval process. Texas hospitals may contact Pamela Adams, Program Specialist, Facility Licensing Group at (512) 834-6600, extension 2607 or at pamela.adams@hhsc.state.tx.us with any questions. Expedited change of address processing. The U.S. Department of Health and Human Services (HHS) issued a bulletin related to HIPAA rules in the immediate aftermath of the hurricane. When the Secretary issues such a waiver, it only applies: (1) in the emergency area and for the emergency period identified in the public health emergency declaration; (2) to hospitals that have instituted a disaster protocol; and (3) for up to 72 hours from the time the hospital implements its disaster protocol. When the Presidential or Secretarial declaration terminates, a hospital must then comply with all the requirements of the Privacy Rule for any patient still under its care, even if 72 hours has not elapsed since implementation of its disaster protocol. The Texas Medical Association published a map of the pharmacies that are open during the hurricane recovery. Click here to view it.